I am writing this a bit earlier than usual, there is a cup of coffee on my desk, and James Arthur playing on YouTube in separate tab.. well, I feel ready to start my weekly recap, are you ready too? Then here we go! On Monday, we got a new store, called simply Pals. The store consists of 8 dolls resembling 8 widely popular celebrities, like Miley, Selena, 1D band members, etc. You can also buy some of clothes dolls are wearing. Wait, one more thing - the store is for superstar/royalty members only. 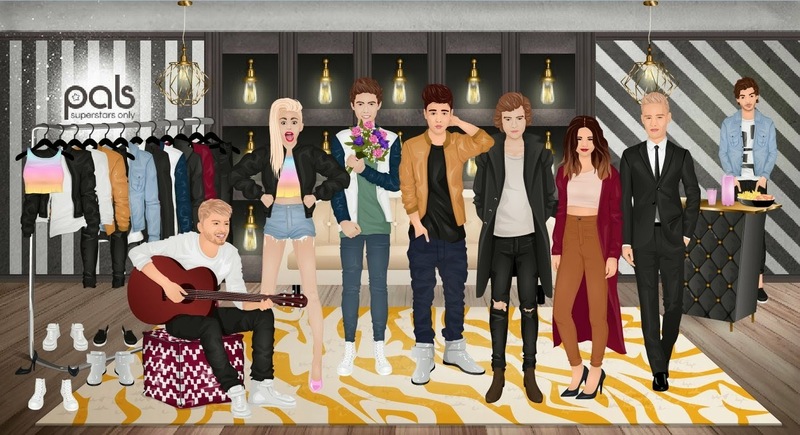 Even the idea seemed nice, seeing what celebrities Stardoll chose, well let's just say I am not a huge fan of them. I mean, I know they are worldwide popular, but mostly amongst younger Stardoll members and teens. I guess they can look good in different types of rooms. I can't know, as I haven't bought a single one, and neither I am planning to. 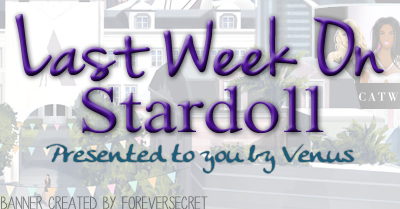 Does anyone remember the Stardoll Pals store? There were some 'ordinary' dolls you could buy, for a much higher prices though, but with an option to put different clothes on them. Too bad the store stayed for a limited time and I wasn't big fan of an idea back then. Bottom line - nice idea, but give us some more 'mature' celebs. I'd name some I'd like to see, but 'some' would make a bit of a long list, and you may not know half of them. On Wednesday, we got a new floor released to Voile store. 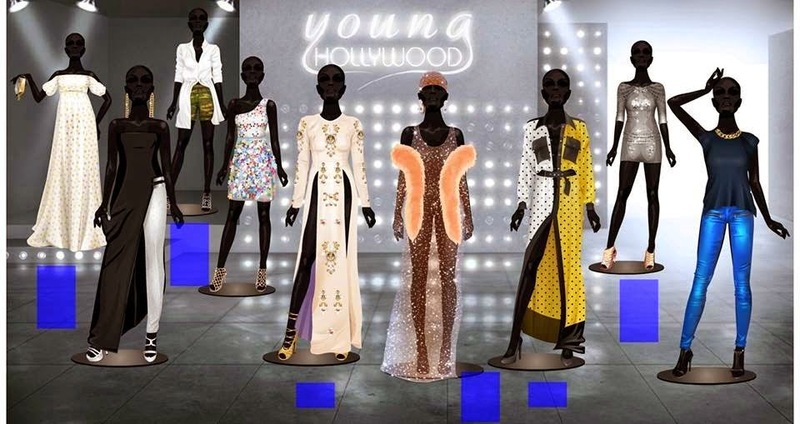 On Friday, as usual, we got another limited store - Young Hollywood this time, and surprisingly, a full collection. Inspired by dresses various celebrities wore on some events, the collection consists of a some long and short gowns, and some other items. My favorite item seemed to be quite popular, as it got sold out pretty quickly. before I even got a chance to get it - I am talking of course about the Kendal dress. I ended up buying a pair of jeans and silver sandals. Rihanna dress seemed nice, though I am kinda surprised Stardoll decided to add it to collection. It sold out pretty fast too, but I decided not to buy it, as my superstar membership has just ran out and I needed to save up some stardollars. There were some other nice dresses, and some not so nice items, in my opinion. The same day, Stardoll announced September HotBuys. The items seem nice on the pic, quite good quality. The shorts are trendy, sandals are pretty, and I also love that lace blouse. The purse seems cute too. I am sure you have some favorites too, and are curious to see how will they look on your doll. There isn't much to write about this topic, we can just wait and see. So, what'd you think about the last week? As usual, chose your favorites, vote on the poll, maybe have a nice random conversation in comments. , and I'll see you next week.